I like this final book in the Vampires of Athens series. Is it bad to say though that I found Gertie's best friend Nikita more interesting? Gertie was an ok heroine, but the other characters were better. I would love to read a series about Jeno and his love of thirty years ago. That would be awesome. I must say that I was extremely impressed by the fact this series involved Greek Gods and mythology. That alone kept me interested. I do enjoy how well you write and will begin to read your other series. I gave the first two books a 5 star rating. Number 2 was my favorite. This one while great had some boring parts. AND they leave you on a cliffhanger. In the authors notes she says this is the final book too. So there's that. However overall if you've read 1 and 2 this is a must read to end it all........sort of. I was very happy with the way this series was wrapped up. While I would love to see more books in the series, it ended without dragging things out and wrapped everything up nicely. I will be checking out more books by this author! 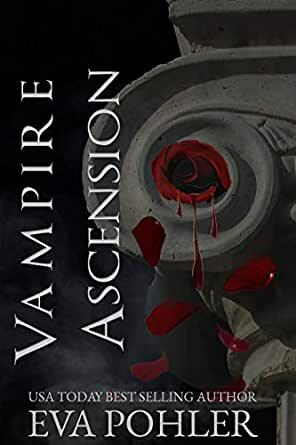 4.0 out of 5 starsThe final book in the Vampires of Athens Series would get 3 and half star rating from me if i could, and was a one day read. 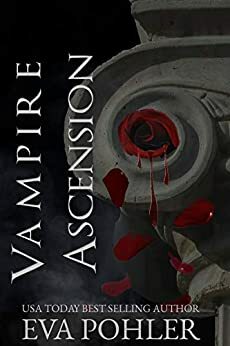 The final book in the Vampires of Athens Series would get 3 and half star rating from me if i could, and was a one day read. It was better than okay and I will reread the series and recommend it others even though I do have my issues with it. I was at one point completely engrossed into the story. The momentum of the second book carries well into this one. Though the story does feel a bit jumbled at times, lots of stop and go mini conflicts with no overall direction, as the fate of the vampires in Athens remains the primary issue up in the air. There is an overall uncertainly as to what will happen because when it comes to all things Greek, tragedy is a must at some level. This book gives the reader little time to rest as one problem flows into another for our heroine, and there is a very Percy Jackson action adventure feeling in it. The fact that there was no ultimate “big bad” as an antagonist adds to the story in its own way, because you can never be certain where trouble is about to pop up. It make the fates of the characters we have come to care about all the more central to the story as Gertie tries to untangle all the knots involved without creating more. When it comes to the romance.... The love triangle did feel forced in the first book and made little sense when you put into perspective with the three individuals involved. Hector is a 18 year old Greek demigod who falls hard for the heroine at first sight...or at least a couple days. Basically they both have the “hi you're hot wanna go out” mentality. At the same time Jeno is an ancient vampire who has had many loves and is on rebound because he just came from burying the woman he has loved for 30 years before he meets Gerti a teenager on a bus who happens understand him because she has read a lot about greek lore and vampires. It was cliché to the point of distracting. Thankfully it stopped being so forced in the second book to the point it started to feel real as the characters had depth added to them. The relationships became part of a story rather than the story. The love stories do come to a semi satisfactory, and of course bittersweet, conclusion in this book. I can not say much more without have spoilers so I will say this. Eva Prohler spins a good tale. As an advid reader I will enjoy getting into the Gatekeeper Saga soon. As a hobby writer with extremely poor grammar and skills I do feel guilty about my complaints about a professional writers work when I can only imagine the effort and research that goes into something like this.